Today, I have a couple things that I haven't done in a while, a quick update on my craft room and a free cut file! 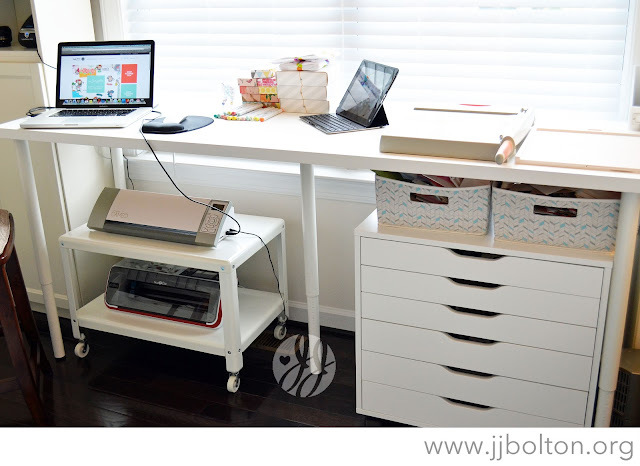 First, let's talk craft room! For the most part, I haven't made major changes in my room, but I do have a new storage system for my sequins and glitters. I have a ton of small embellishments and I like to be able to see them when I work. Some of you all know that I work in a lab, so this storage solution will not be a surprise;) My old system (condiment cups like this) was getting hard to store and organize, so these clear plastic disposable test tubes were the perfect alternative. 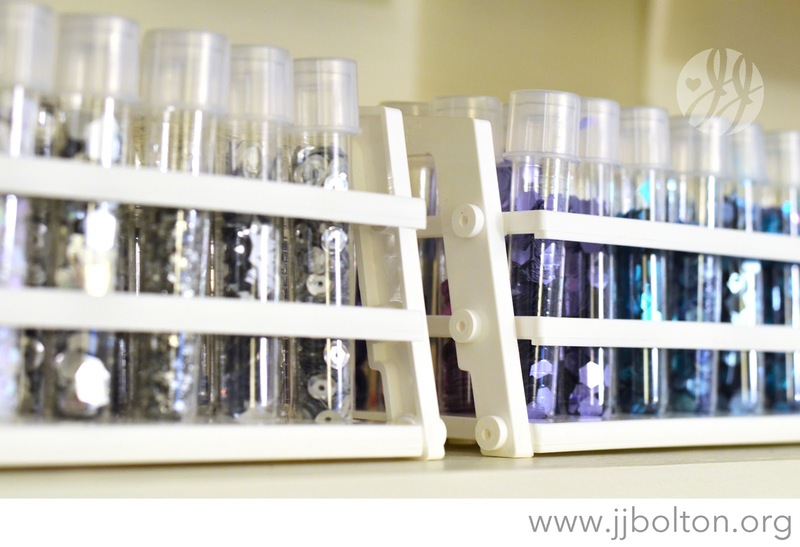 Plus, the test tubes are nice and organized in plastic racks that hold up to 40 tubes. I keep them arranged by color and they are a joy to look at and use. If you're interested in trying something similar, there are lots of options for tubes and racks on Amazon and other places online. Most of them are very inexpensive (especially when you don't need lab-quality stuff). If you want to download the Silhouette studio file (for free! 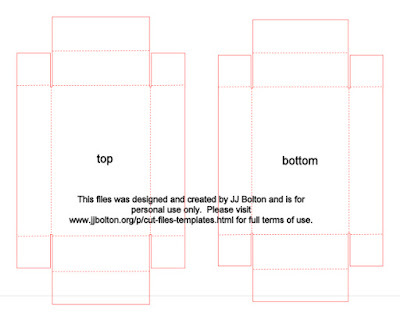 ), please go to my cut file page here. I have this file and lots more to share. Have a fantastic weekend! Thanks so much for stopping by! WOW...I love your craft room! Love your organizing (so pretty) and craft room. Very cute gift box - such a pretty gift. Looks great! 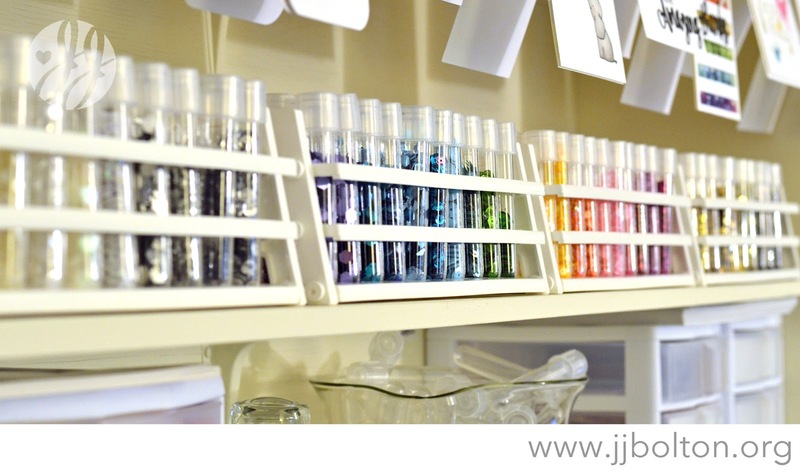 I love the test tubes! Hi JJ!! You have BOTH a Brother Scan n Cut and a Cameo? I would LOVE to ask you about that! I bought the Brother Scan n cut (still in the box, ha!!). Are there things that the Cameo can do that the Scan n Cut can't? As someone who owns both I would be so happy if you could answer that for me!! Thanks so much JJ! Love your room!! 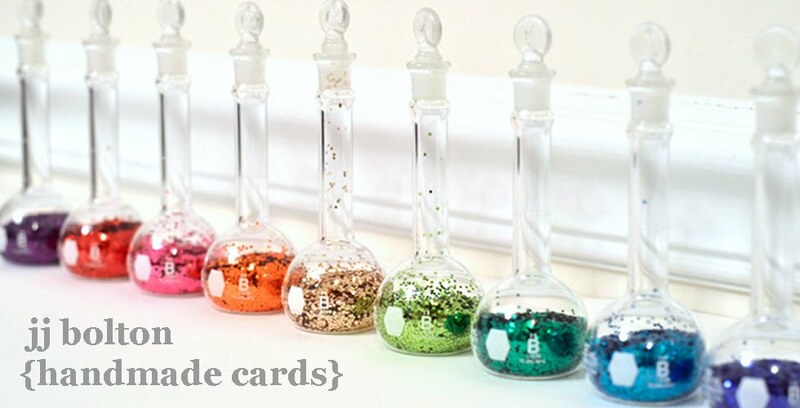 What a great idea using test tubes! I work in a laboratory and have used expired multi-well dishes in the past to store beads. Never thought of using test tubes! I am swooning over the test tube storage, such a fun idea... do you by chance know the manuf. of the holders you're using? I love the shape/look of them! Firstly, I LOVE the brightness of your craft room! Having all that beautiful white Ikea furniture is just perfect, too! 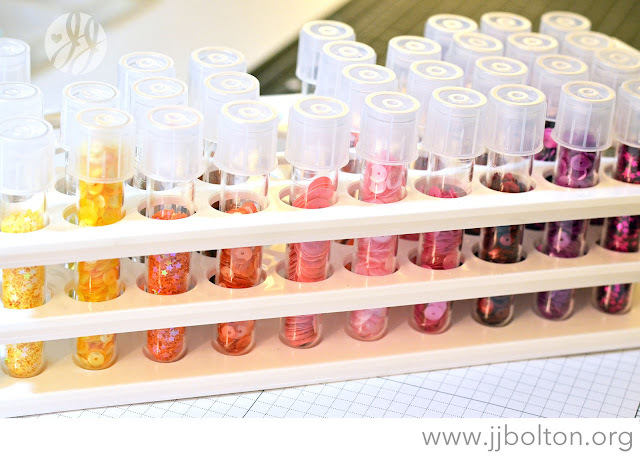 I love that you chose test tubes to store your sequins and glittery goodies...so fun to look at while your crafting! 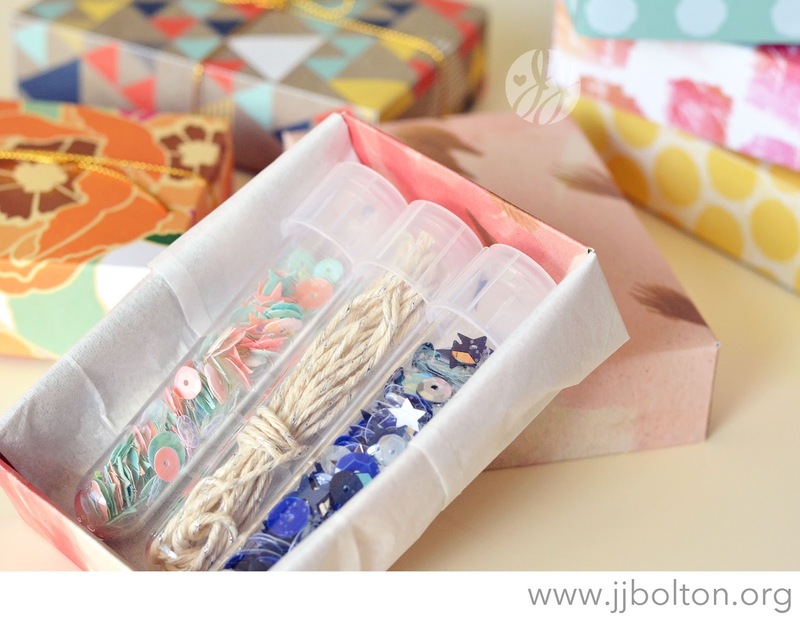 Thanks so much for sharing the pattern for your lovely gift boxes...what a sweet way to package some goodies! I agree with Kelly ~ Your blog header is amazing, JJ!! !